0.0.1 WAEC Meaning of Held/witheld Result |What does it mean to have outstanding in some subjects in WAEC result? What does it mean to be replied by WAEC server with ‘No Result For This Candidate in the specified year‘? WAEC Meaning of Held/witheld Result |What does it mean to have outstanding in some subjects in WAEC result? What does it mean to be replied by WAEC server with ‘No Result For This Candidate in the specified year‘? This occurs when almost all the candidates in a particular centre had same grade. 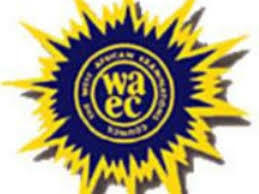 WAEC will further investigate the result. If truly the candidates engaged in any form of malpractice during the exam, such results would be seized and not released. But if reverse is the case, they would be released. ‘Held’ means candidates violated the rules & regulations guiding the conduct of our examination. NEC will meet to decide on that. ‘Outstanding’ means pending. Errors made by candidates during registration & or examination are being corrected & results will be released. This often happened to candidates that registered with special centres. If you are not guilty of any examination offenses and your result shows any of the tags stated above, there is high possibility of release. Click Here To See This Year Result Statistics!!! !